Metroid: Samus Returns is out now and over the past few weeks T3 has been exploring and fighting on Planet SR388 to see what the game has to offer. Here are 10 reasons why we think this Nintendo 3DS title is worthy of your time. Before we get stuck in though, you should check out the game's official trailer to get an idea for how it looks, sounds and plays. The best Metroid games, such as Super Metroid on the Super Famicom, acted as pressure cookers, with the player slowly descending into increasingly intense and high-stakes encounters. 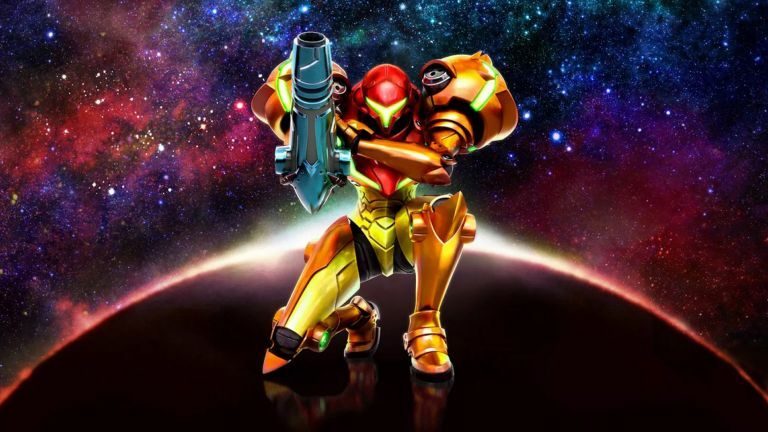 Samus Returns smartly follows suit, with players carefully led into the game slowly, ensuring they understand how its various mechanics and enemies work, before ramping up the intensity to adrenaline-inducing levels. And talking of gameplay, Samus Returns plays like a classic 2D Metroid game. Controls are tight, weapons/abilities collected and diverse, and movement fast-paced, with combat as fluid as ever. It's not just a carbon copy though of past titles, with the play mechanics of Metroid II: Return of Samus added to in various ways such as a powerful, timed counterattack. As such, the gameplay feels modern despite following the classic Metroid template. And that counter-attack mechanic is a game-changer. MercurySteam, the game's lead, clearly took feedback from their earlier 3DS title Castlevania: Lords of Shadow – Mirror of Fate, in which a very similar mechanic was used and decided it would be a good fit for Metroid. We are inclined to agree, with the mechanic allowing Samus to counterattack enemies in a brief window prior to their attack. The result of its introduction is that combat feels more varied than in previous Metroid games and Samus not as vulnerable in melee-range encounters. Metroid: Samus Returns sees you land on and then explore the infamous alien Planet SR388. For those who were worried that the passage of years would see the original titles' haunting atmosphere broken shouldn't worry, as the game's makers have delivered an incredibly atmospheric environment that, slowly, begins to unnerve you with its penchant for silence. When the action heats up so does the background music though, so those prolonged periods of creep and pressure are always released to great effect. There are various bosses in Samus Returns and, without spoiling them for prospective players, they are all uniquely designed and fun to best in combat. Their designs are slightly less H.R. Giger than early titles in the series, however, they look spectacular, with even the sub-boss Metroids changing it up frequently. And you'll see a lot of these Metroids as only by dispatching them can the player progress through the game. Speaking of the game's design, the level of detail put into the various areas you'll explore on SR388 is really impressive, with a rich colour palette subtly altering tone as you venture further into the interior of the planet. Each alien creature you encounter is distinctive too, with none falling down the "generic alien" hole that many lesser sci-fi titles are prone to. An absolutely core part of a proper Metroid game is the exploration, with the structure dependent on it - to collect upgrades to help you traverse dangerous areas - and the player enjoying the ability to unlock secrets or simply take a breather from intense combat scenarios. In Metroid: Samus Returns exploration is just as fun as ever, with some handy new tools and abilities such as the Scan Pulse (when triggered it highlights parts of the map you are close to, thereby allowing you to see regions you haven't explored) making navigation easier than before. Despite some areas of the game being modernised and made easier - such as with the aforementioned Scan Pulse and counterattack mechanic - MercurySteam has largely kept the series' hard difficulty intact. This is a good thing though, as no enemies are cheap and, providing the player masters the abilities and tools at their disposal, dispatchable with not too much effort. Newbies will be pleased to hear that an invisible check-pointing mechanic means that even if you do die, Samus is resurrected very close to where she fell. Be under no illusion, Metroid: Samus Returns is one of the best-looking games on Nintendo 3DS. Not only is the art style rich and well-realised, with great textures and colours, but with the 3D capability turned on the depth of field built into the entire game is spectacular. Samus and enemies are granted real presence in cut scenes, while level backgrounds are tiered wonderfully to give a real sense of how small Aran is compared to the hostile, alien world she is navigating. Despite all this, the game also runs butter smooth. Lastly, if you can get your hands on one, the Metroid: Samus Returns Legacy Edition is just wonderful if you are a fan of the series. The Legacy Edition includes a Retro Steelbook case, a 40-page Artbook, Game Soundtrack, Gold S-Mark Pin, a Morph Ball 3D Keyring and a download code for Metroid II: Return of Samus for Nintendo 3DS.